Why Travel With a SYTA Member? 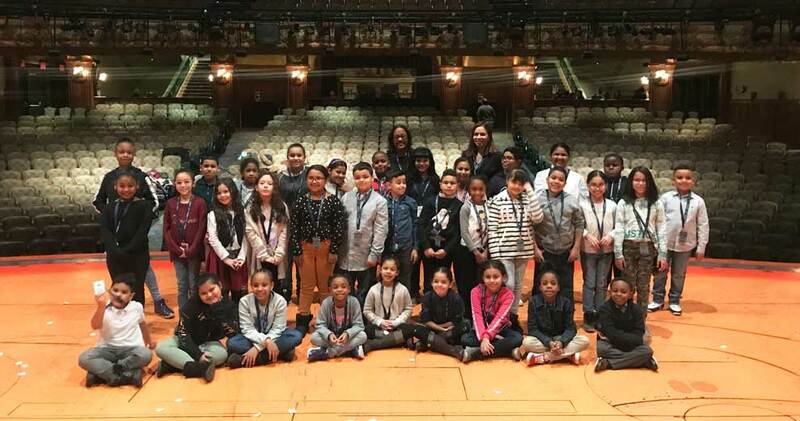 In March, Disney Theatrical Group donated 100 tickets to the SYTA Youth Foundation—a dream come true for students from Hoboken Charter School from Hoboken, New Jersey and P.S. 69 Journey Prep from Bronx, New York. The New York City-based itinerary was filled with fun and education, as students took an awe-inspiring Behind-the-Scenes tour of the New Amsterdam Theatre, ate a delicious lunch at Hard Rock Cafe and watched a world-class production of The Lion King—with transportation provided by Golden Touch Transportation and Academy Bus Transportation. Maryelle Mirvil, a 3rd grade teacher at P.S. 69 Journey Prep, said that this travel opportunity allowed her students to expand on their learning outside of the classroom and make connections with what they’ve learned about various cultures and live storytelling. “It enabled them to admire the process of how a piece of writing or oral story can transform into a magical visual experience,” said Mirvil. Mirvil added that the trip also was an experience full of fun memories students will remember for years to come. © 2009-2019 Student & Youth Travel Association. All rights reserved. Get ideas and news perfect for those planning student travel!